First grade classes are learning about plants and animals. I read Steve Jenkins’ book, What Do You Do When Something Wants to Eat You? which is about how prey animals try to avoid getting eaten. I had the students respond to the last sentence in the book, “What would you do if an animal wanted to eat you?” and they recorded their response by taping a video on Flipgrid. 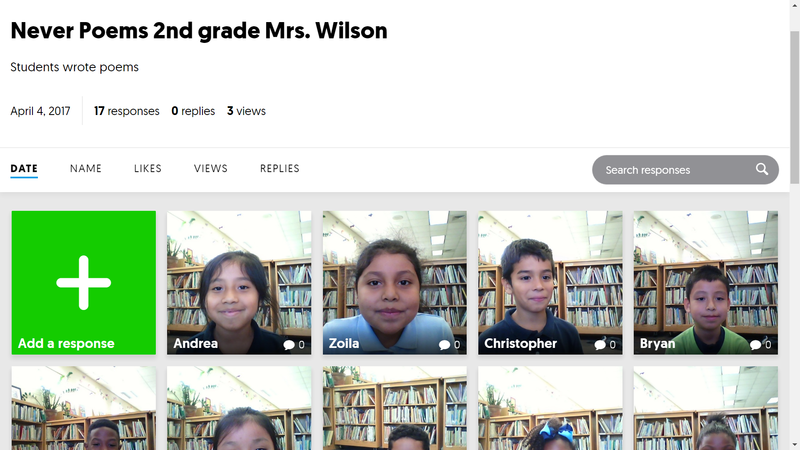 When I use Flipgrid with older students (second grade and older) I have the students write their reflection before having them record their video. 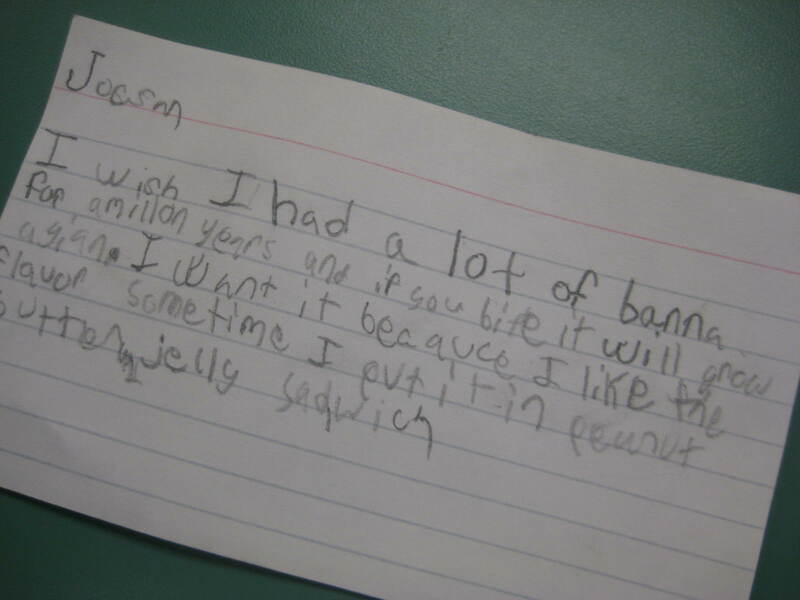 However, with first grade students I felt it would be more of a barrier if they had to write sentences before hand. At the least it would have made this activity take two library visits to complete and I didn’t think it would be worth dragging it out. The students sure did enjoy seeing themselves! 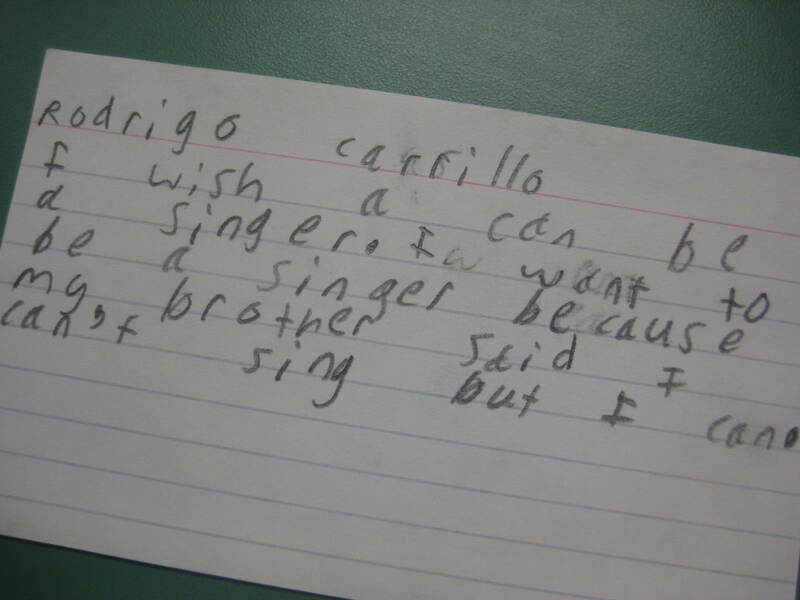 Check out one of the classes responses. 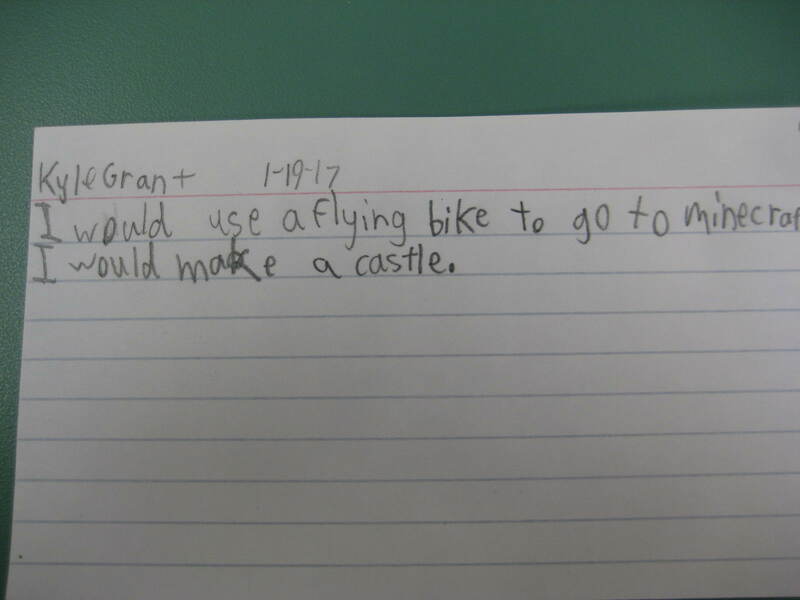 After looking at the 2nd grade’s current IB/PYP Unit of Inquiry, I asked our second grade chair about what we should be working on in the library. I suggested that I could read some picture book biographies about people who have made an impact on their community and she liked that idea. The students were learning about people who make a difference in their communities, such as Jimmy Carter, MLK Jr. and Jackie Robinson. I read Jeanette Winter’s book, Wangari’s Trees of Peace, which is an excellent biography about Wangari Maathai for this age group. After reading the book we discussed how Maathai changed her community. I asked the students for words from the book that were important or key and we created a word wall on a white board. Note: I had to write “woman” and “women” because many of our students used the singular form of the noun when referring to the plural or they use “womans”. Then I asked the students to respond to one of two questions: How did she change her community? or Whose lives did she impact and how? I asked the students to provide text evidence (one of their ELA standards). Some students wrote a sentence of two and were immediately ready to video tape their response on Flipgrid. Others needed some help with editing, which the teacher and I provided them with. Since classes are scheduled for about 30 minutes we did the actual recording at their next library visit. They love to see and hear themselves. I email the link to the teacher after all students have recorded their reflections. 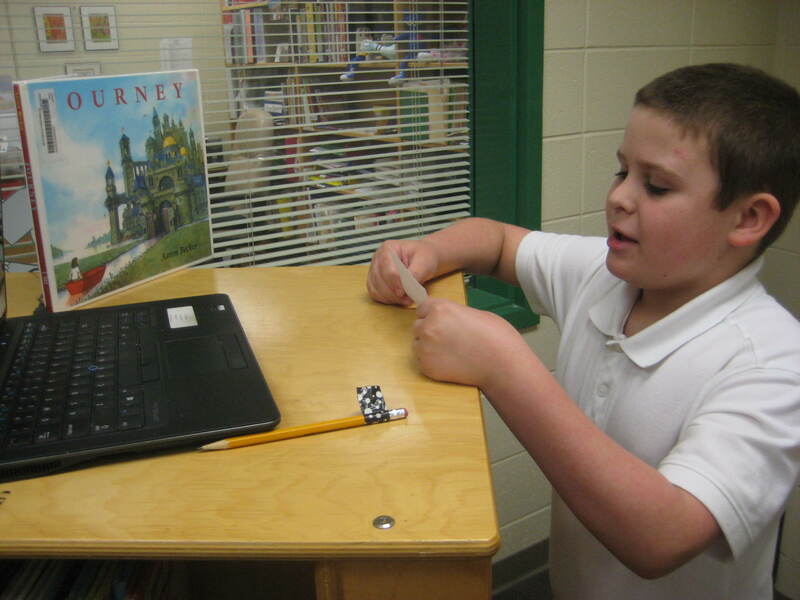 I wanted the 3rd grade students to have another opportunity to write while in the library, as this will be their first time taking the Georgia Milestones (our state standardized test), which has a portion for open-ended response. Last week they used Padlet to respond, but I checked with one of the teachers and gave her a choice of Padlet or Flipgrid for this week. She opted for Flipgrid, as bringing the tablets with keyboards and mouses can be time consuming. Most of our 3rd grade students have had at least 2 experiences using Flipgrid since I have used it with 1st and 2nd grades in the past. First we read Tomie de Paola’s Jamie O’Rourke and the Big Potato: An Irish Folktale. 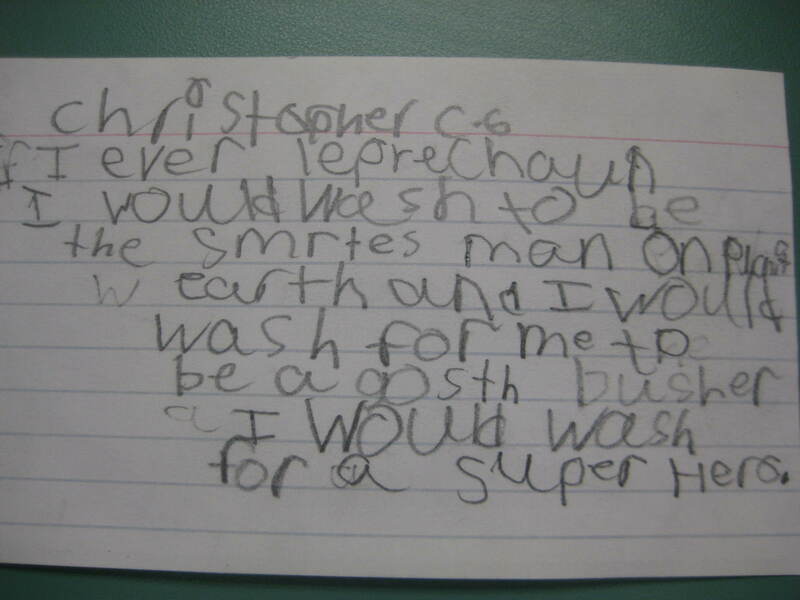 Then I asked them what they would wish for if they caught a leprechaun. After writing their responses on index cards, they recorded them on Flipgrid. These students have become very independent users of Flipgrid. I set my laptop up on a chair and showed them how to place their index card up against the screen. I had one or two students in a line observing the student who was recording and off they went! These 3rd grade students are pretty independent now when using Flipgrid. Amongst the usual wishes (lots of money, a pot of gold, magical cars, etc.) there were a couple that tugged at my heart. Hannah wished for world peace and Kyrique who wanted money to pay homeless people. 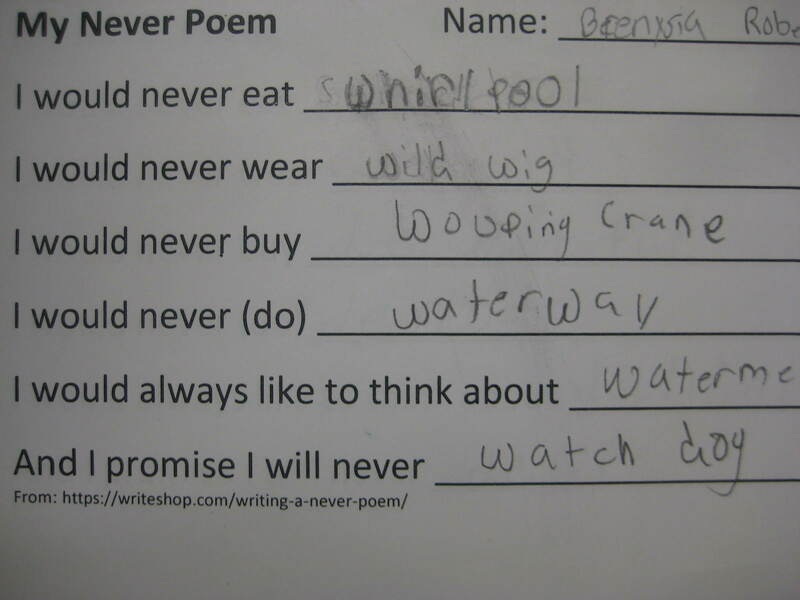 Check out the 3rd grade responses. 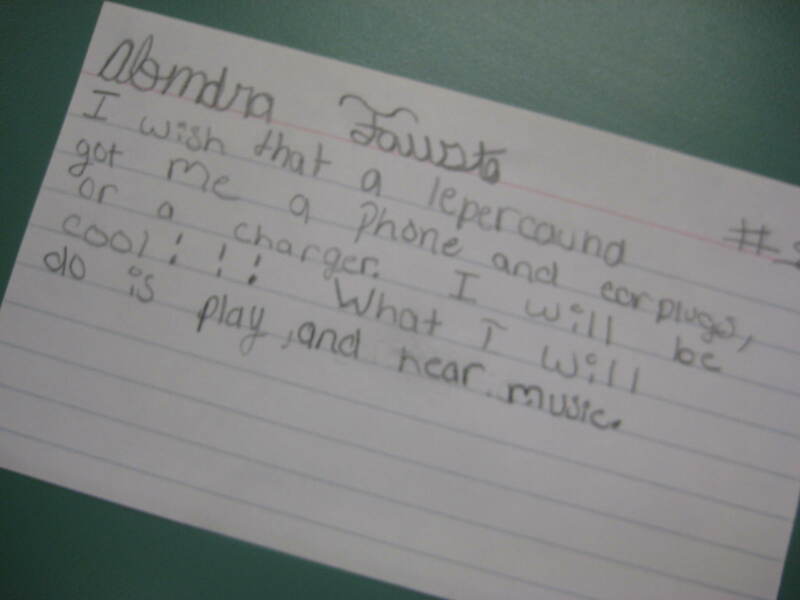 What would you wish for? We are participating in World Read Aloud Day again this year and fourth grade classes are my target once again. We have had a crazy start back after winter break with 2 winter storms. January 2 brought a severe storm with 90 mph straight-line winds with large sections of the city without power (in many cases for up to a week) and many streets blocked for days by fallen trees. Nine schools were without power for days. Sooooo, our students did not go back to school on January 6th as planned, but on January 17th. So after readjusting library visits and curriculum, I read Journey by Aaron Becker for Curiosity Week. They really enthralled by this wordless picture book. I showed the students the trailer after sharing the book and then we used Flipgrid to respond to that book. They loved all parts of that activity. And then….our city was hit by a tornado on January 22, with 5 deaths and hundreds of homes blown away or destroyed. Again, our students were out of school for a week. All that to explain why my schedule for celebrating and leading up to World Read Aloud Day has been a bit loosey-goosey. These storms were playing havoc on any continuity! Again, I didn’t follow the recommended weeks due to our extremely interrupted school schedule due to the 2 storms. Next, I read Invisible Boy by Trudy Ludwig to the 4th grade students. They really enjoyed this book and I thought that kindness was a timely topic as many of the students were impacted by the storms and had been on the receiving end of kindness. After reading the story I had them respond using Padlet. 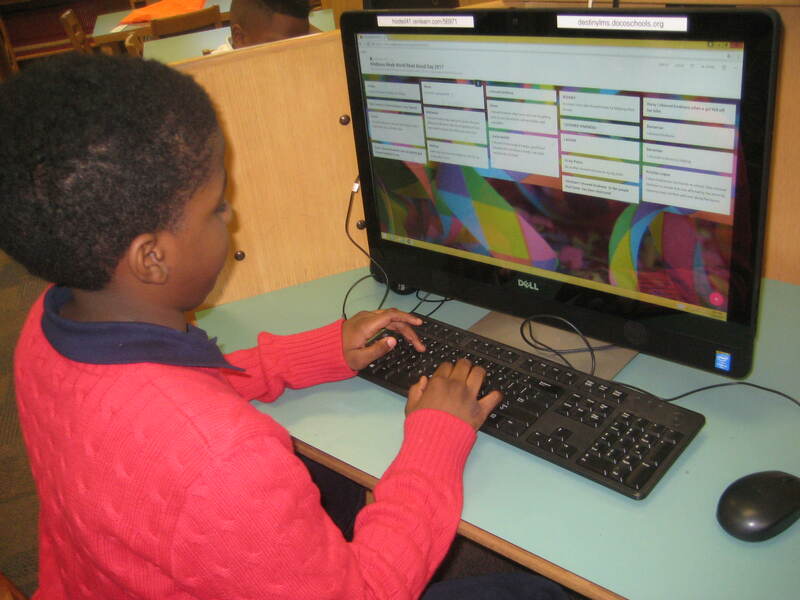 Padlet was a new experience for most of them and they especially enjoyed seeing their classmates’ responses. I try to expose students (and their teachers) to different digital technologies hoping that the teachers will pick up on these various ways to use technology with their classes. Their responses were not as deep or thoughtful as I would have liked, but as this was the first time they used Padlet, they are usually so enamored with the technology that it overshadows the actual writing. But, hey, anytime I can get them to practice writing and typing on their tablets I figure I am helping prepare them for their state standardized writing test. 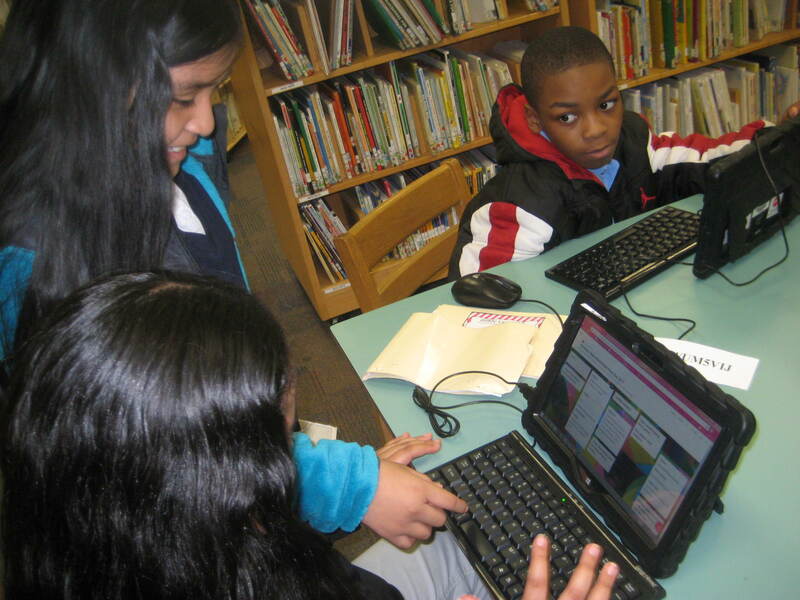 The Georgia Milestones will be administered to all 4th grade students online this year and the more often they use these technologies the more comfortable they will be with them. Our fourth grade students are required to learn six explorers according to the current Georgia Performance Standards in Social Studies: SS4H2 The student will describe European exploration in North America. a. Describe the reasons for, obstacles to, and accomplishments of the Spanish, French, and English explorations of John Cabot, Vasco Núñez de Balboa, Juan Ponce de León, Christopher Columbus, Henry Hudson, and Jacques Cartier. I designed a project where the students researched an explorer so that they could create a Prezi which would be an advertisement to persuade viewers to join them on their expedition. I gathered resources for each explorer using Livebinders to expedite and streamline the research process. The students used a graphic organizer I created to guide their research. 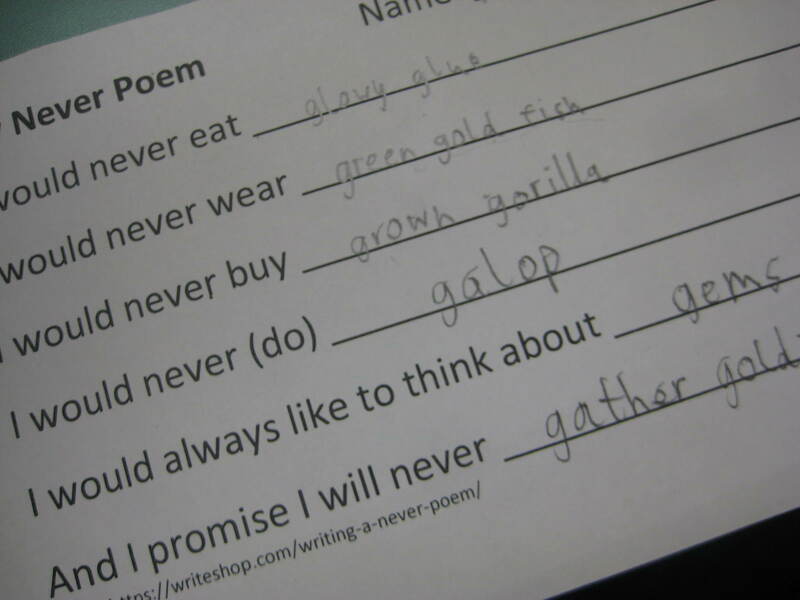 By answering the questions, the students would have sufficient information to write their advertisement. The students conducted their research independently and then worked with a group to create one Prezi per explorer for the class. I reviewed the groups individual graphic organizers to ensure that among all of the group they collectively had sufficient (and correct) information to write their advertisement. Students were not familiar with Prezi, but they were very excited when they saw how it worked. I modeled it briefly and we discussed writing in the first person, as if they were the explorer. Some go the hang of that quicker than others, but it was good practice. Before they could add any images, they had to have written all of their text. I have found that they get so excited about the pictures, that the text falls to the wayside! I collected images for each explorer ahead of time, saving the image and renaming the image with the sources’ name. This saves the students time. 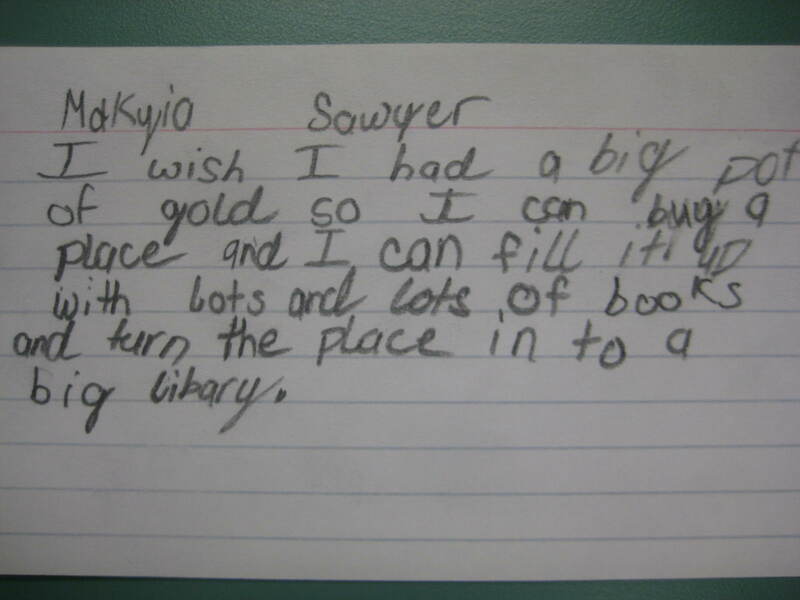 I try to get this project done in about 4 library visits, so anything that saves a bit of time is helpful. I created a folder for each explorer with sufficient images that they could pick and choose. They had to give credit to the owner of the image (creating a text box in the frame with the image) and they picked up on that right away. The last frame of each Prezi had to include the website addresses of each website that the group used. We didn’t do MLA or any official format. At this point I wanted them just to be aware of citing their resources. 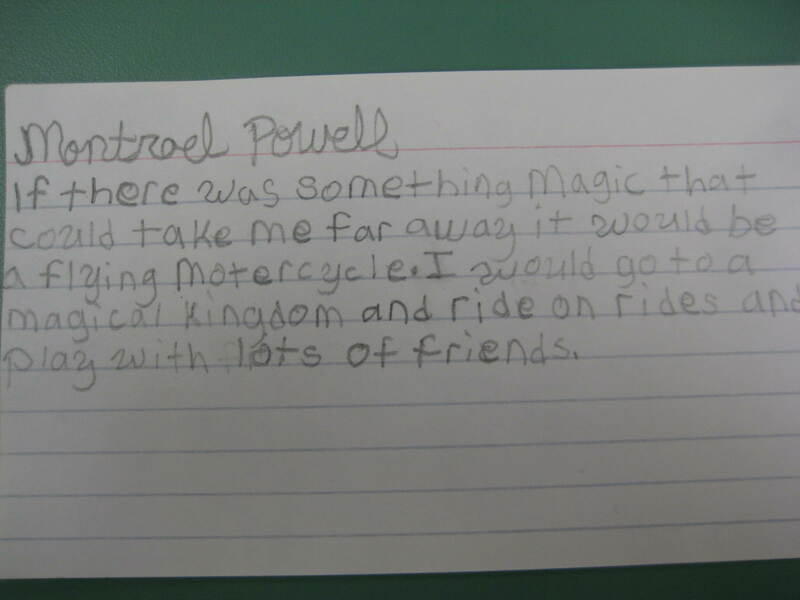 These fourth grade students really enjoyed thinking outside the Power Point box, although most of them had only made one or two Power Points before this year. Reflecting on their learning is a big part of the International Baccalaureate program, so I had the student use Flipgrid to record their written reflection. They love to see and hear themselves! Students used Flipgrid to record their reflection on the explorer Prezi project and process.